Making a splash in the automotive world takes more than just a few droplets of water, and last night Toyota packaged up three such drops within the backdrop of the neon lights of the Las Vegas Blvd and crossed their fingers as over 350 journalists and professionals baked under the dry evening heat listening to the excellent tunes of the band, Atlas Genius. 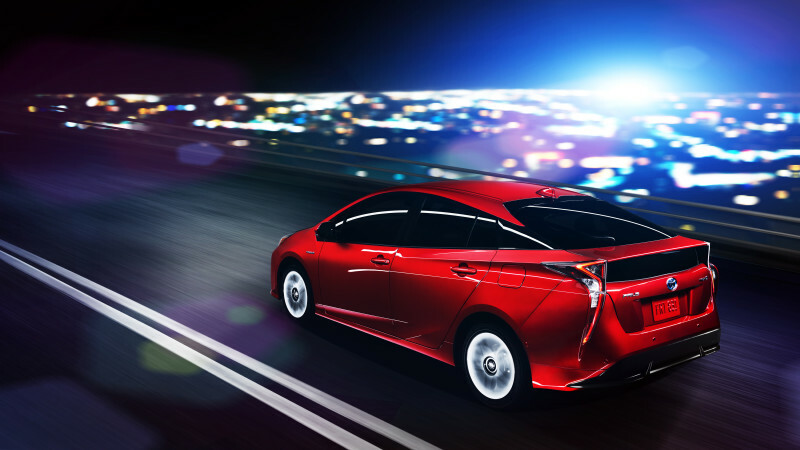 Then from out of the sky came the first drop of hope – all decked out in Toyota’s new Hypersonic Red. 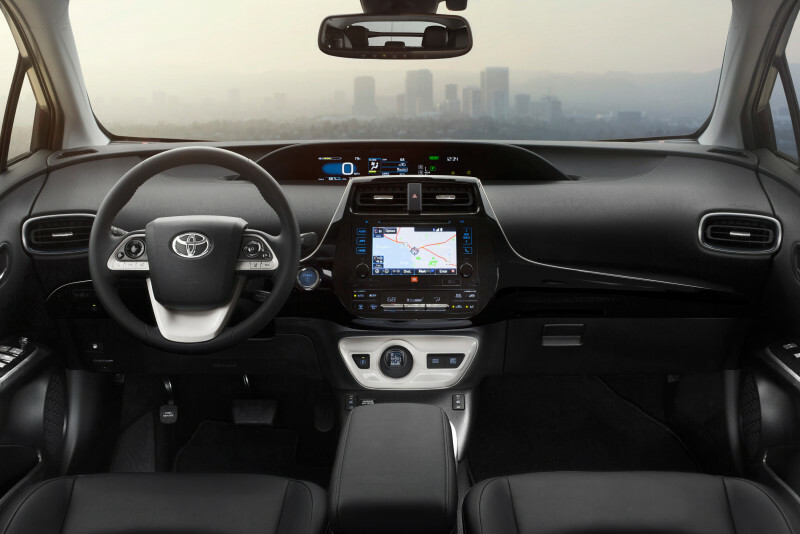 And as it disappeared behind the 180-degree screen, I thought to myself, “Yeah, I like it.” It is a bold new design, but it has been carried out with the same appeal of the first Prius that was unveiled nearly 20 years ago (believe it or not). In other words, I like the angular lines of the front and rear fascia, including the aggressive triangle shapes on the new standard LED headlights and rear tail lights, which make the car a bit more menacing to look at. 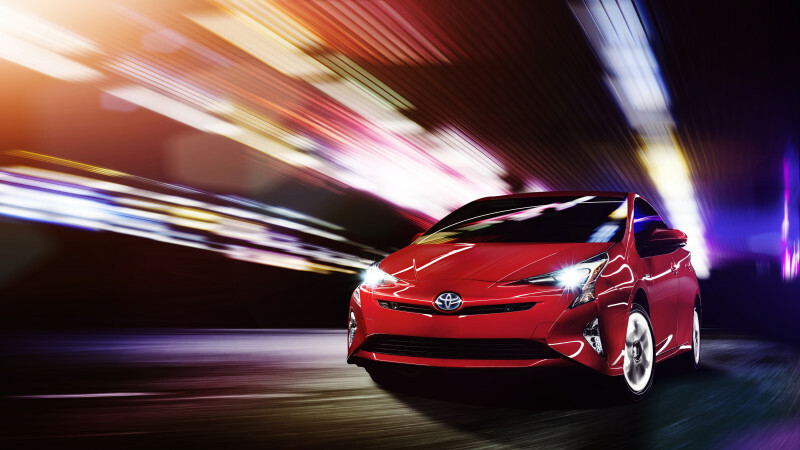 I guess the best way to describe it is where the old Neon used to be stuck at “Hi,” The 2016 Prius seems to be urging, “Let’s go!” But yet the new design stays true to its old familiar liftback shape, so it is far from being unrecognizable – just perhaps a little more memorable. 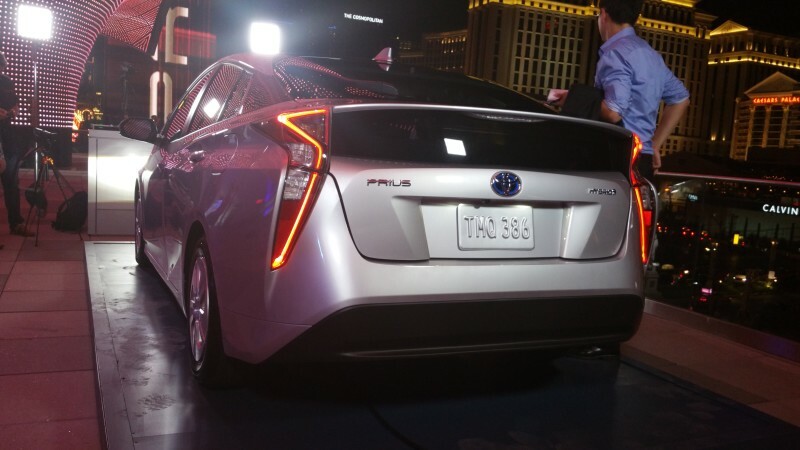 The Prius also promises a 10 percent improvement in MPG, which should come out to around 55 MPG. But it’s 2016, you say? Couldn’t a modern hybrid be even more efficient than that? 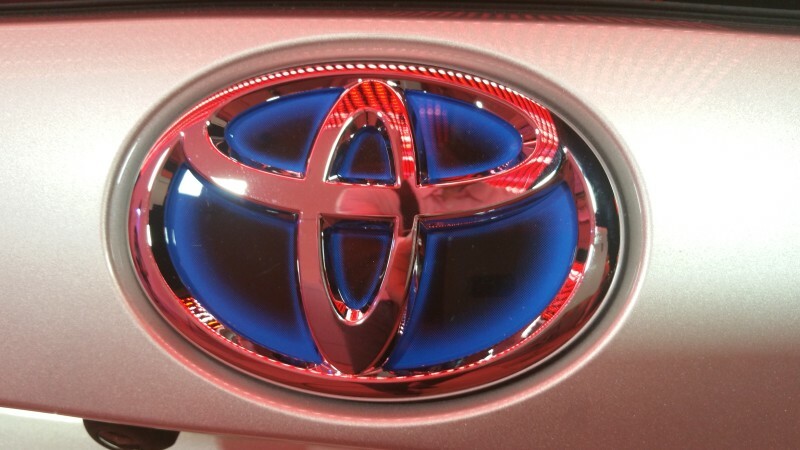 Yes, and Toyota says they will offer up a hyper ‘Eco’ model that will be coming out later on. Safety-wise, the Prius won’t be taking a backseat to bad driving anymore, offering up a suit of automated helping hands. This will include adaptive cruise control, pedestrian detection and lane departure warning. And while we can’t comment on the new Prius’ road prowess, we can tell you that is feels absolutely fantastic to sit in. There are some sport interiors that feel like a wooden desk seat and luxury ones that remind me of my grandparent’s over-cushioned living room. But the 2016 Prius feels like a modern bachelor’s theater room, featuring slim supportive seats, plenty of leg/elbow room but everything you need (climate control, popcorn, infotainment, gummy bears, etc.) right within reach. 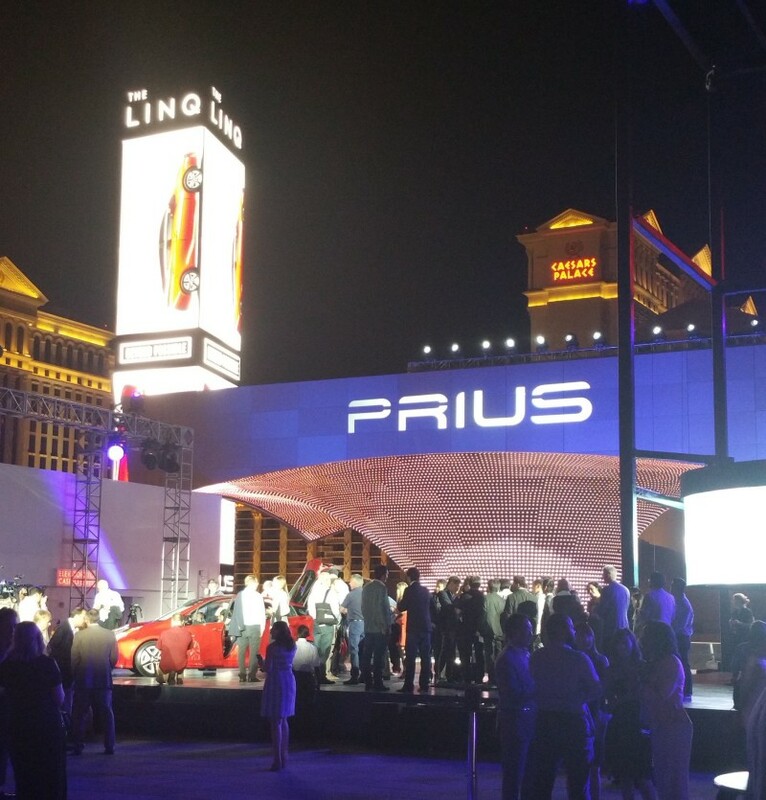 So what can we conclude about the new 2016 Prius we saw last night? 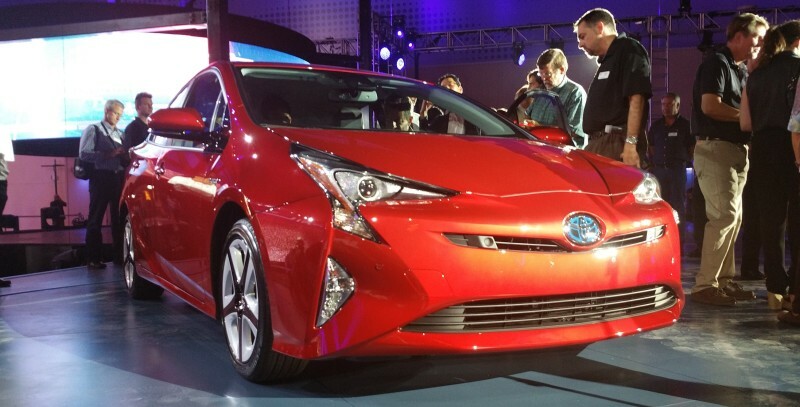 Well, with the 2015 Prius, we admired those who drove it. But for 2016, we can actually see ourselves in the driver’s seat. Hey, it’s not like we didn’t want to help save the planet, we just wanted to maintain our machismo while doing it. 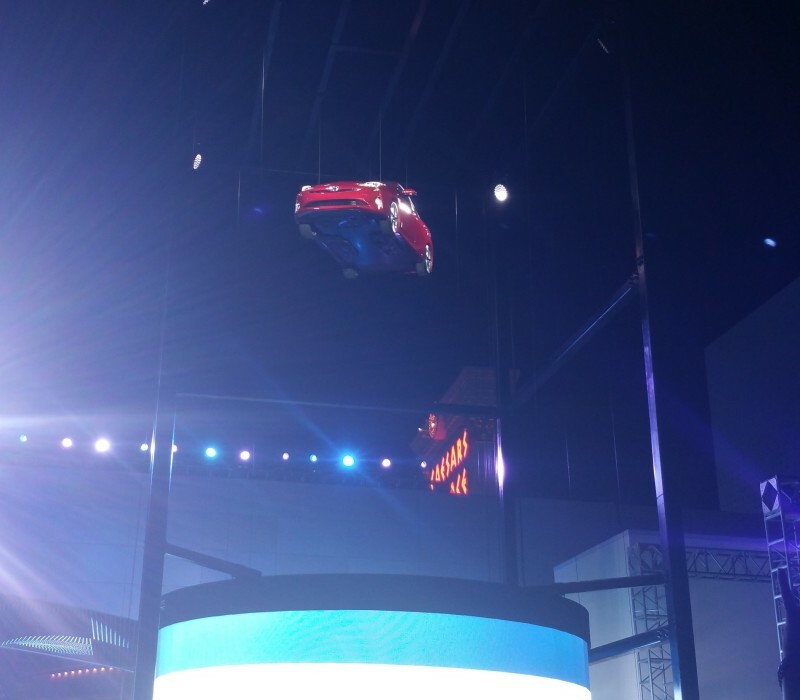 But of course, good looks only appease for a couple of weeks in the typical relationship, so we hope the new Prius is just as fun to drive as it was to see it drop from the sky in Vegas last night.